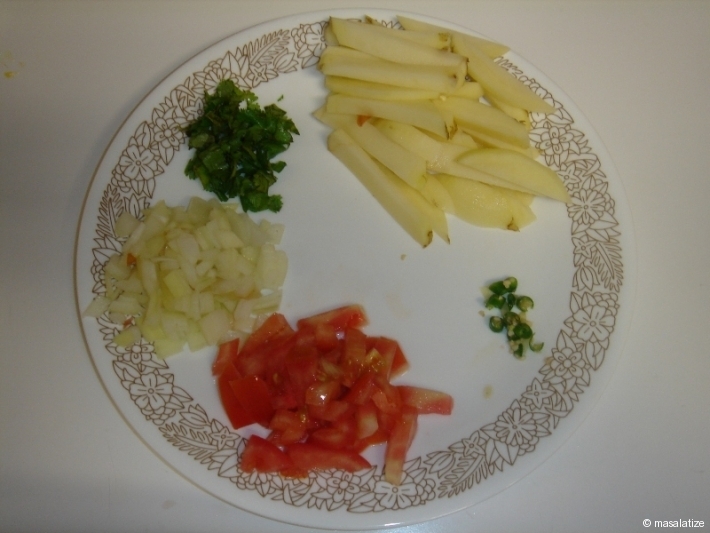 Cut the onion , tomato and potato into small pieces. 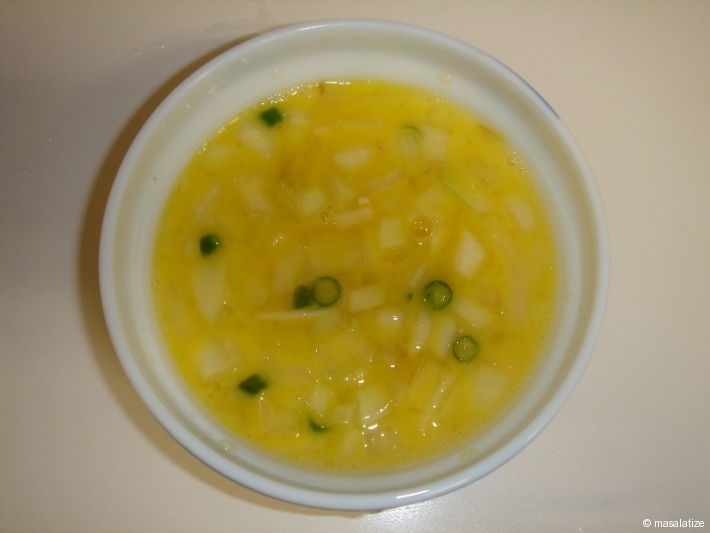 Make a batter of egg with small pieces of onion and green chilly . 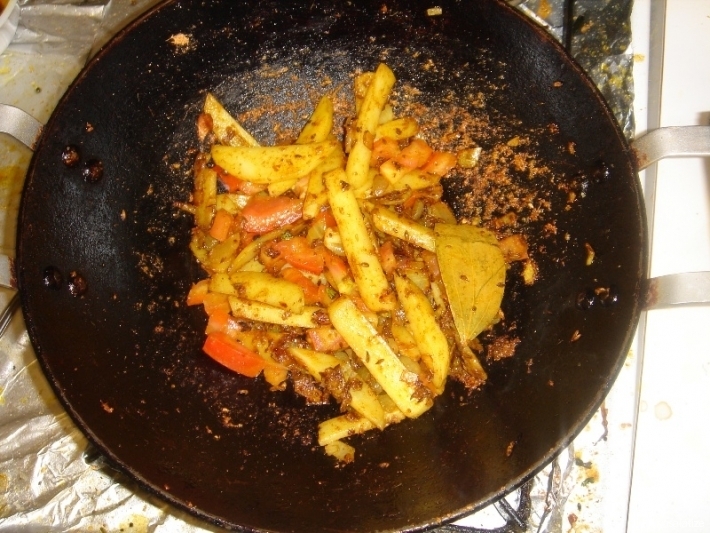 Put bay leaves and jeera to crackle in oil . 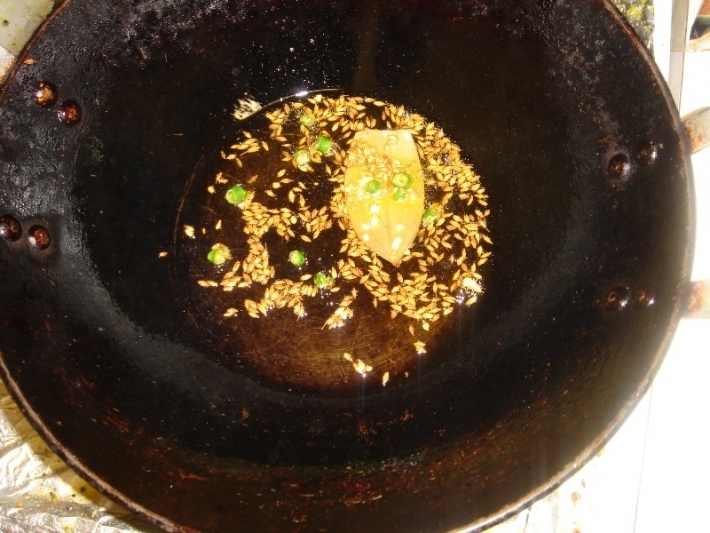 Add the onion and fry until it browns then add ginger garlic paste. Then add all the spices and tomato . 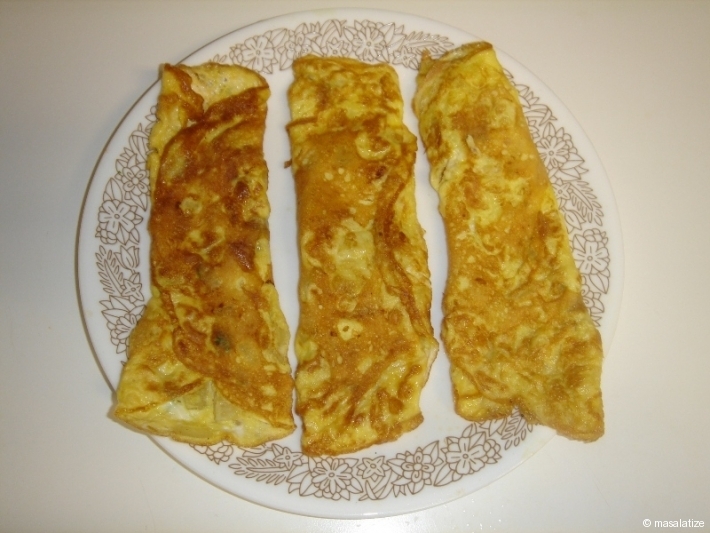 Add the fried potato , omlet and water . 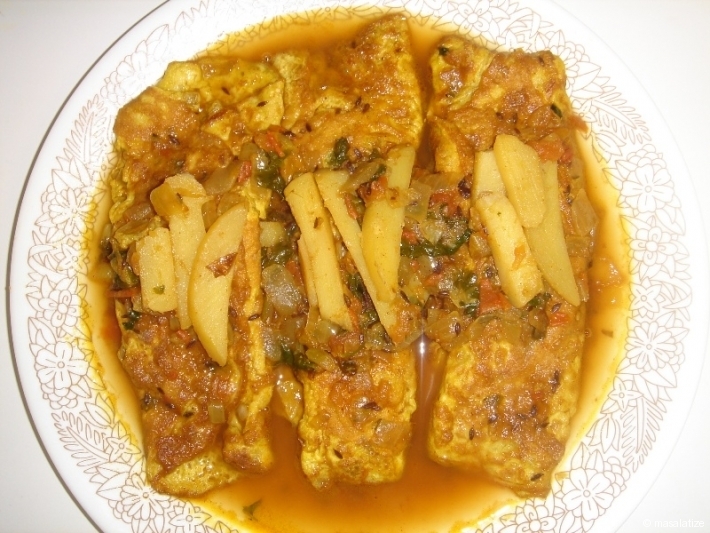 Garnish it with coriander leaf. I’ve been cooking some of your recipes and they are simply delicious. Omelette curry was good.